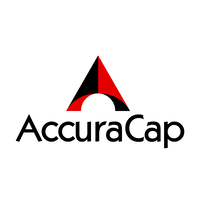 AccuraCap, a boutique of fund management, is one of the best portfolio management service providers. They provide services through the use of world-class technology in terms of their applications and backend support. The performance of Accuracap PMS has proved itself over the year in the Indian Capital market. Le’s have a quick look at how this has panned out over a period of time and whether it makes sense for you to use it for your funds. The company Accuracap was established in the year 2009. The veteran computer scientists, global business executives, entrepreneurs Raman Nagpal and Naresh Gupta are the leaders and founders of the company. The promoters look to manage their own fund/wealth in such a way that outperforms the market as well as other fund managers assuming lower risk than a diversified equity fund. The strategies used by the Accuracap have outperformed over the years. The company has gradually diversified into third-party fund management for family offices, HNIs and institutional investors. AccuraCap PMS has a successful track record of investment in the Indian equity market by giving priority to the technology used by them for decision making. The promoters and researchers of the company have collectively spent more than 15000 hours in the development of the unique ranking algorithm that performs quarterly analysis through the millions of data points with analysis of every business in the investment universe of Accuracap. In this article, we will throw the light on each and every important aspect of Accuracap. We will try to cover the points like the PMS types offered by the company, details of the PMS managers, the investment plans it has to offer, potential returns, details of strategies used by the company, commission models and values, benefits, PMS charges, customer support, conclusion and finally some frequently asked questions. So, let’s start our discussion with the details of PMS managers. Discretionary PMS: In this type of PMS service, a client gives the right to take the decision related to their fund to the fund manager. The fund of the client is managed by the fund manager according to their need(s). Non-discretionary PMS: In this type of PMS, the fund of the client are managed by the fund manager according to the direction of the client. The portfolio manager provides advisory services to the client so that the client can take the right decision with regards to his/her portfolio. Both the founders of Accuracap PMS, Raman Nagpal and Naresh Gupta are among the topmost portfolio managers. Both are holders of engineering degree and have held senior positions at Adobe before starting their business as PMS house (Quant/Algo-driven). Naresh Gupta is a scientist, corporate executive and researcher Gold medalist from IIT and a PhD holder in computer science from the University of Maryland. Before entering the Accucap PMS business full-time, he was in the senior position of Adobe Systems. Raman Nagpal is a social entrepreneur, computer scientist and corporate executive. He has a Bachelor Degree and a Masters in the computer from Delhi and BITS, Pilani respectively. Except this, He holds an MBA and CFA from the Insead business school. Raman Nagpal has more than 20 years of experience in the business world including large and small enterprises and his own start-up. Before working for Accucap full-time, he was working with Adobe as well. Dipika Nagpal (Director): She has completed the Masters in commerce and M.Phil (Economics) from Delhi School of Economics. Manages clients and partner relationship. Jitendra Kumar (Chief Compliance and Risk Officer): 13 years of experience in the equity markets in risk management and compliance functions. Shreya Malhotra (Research Analyst): She is a well-experienced research analyst having six years of experience in the same field. At Accuracap She manages the microeconomic and macroeconomic conditions to make necessary changes in PMS. Shreya Gupta (Senior Analyst): She has an MBA and engineering degree. Manages different operational aspects at Accuracap. Vijay Kumar Jha (Assistant Manager-PMS operation): Over 9 years of experience in back-office operations. Accuracap manages its portfolio through two different types of strategies. Since different investor classes have different types of investment objective, they need those strategies which trigger his/her investment objective. Some investor wants to invest in mid-cap, some in small-cap while others in large cap. In the same way, investments are also for the long-term and the short-term according to the objective and needs of investors. Keeping the investment objectives of the different class of investors, Accuracap works through the following two strategies. This strategy suit to those investors who want to invest in stocks of larger market cap. Under this strategy, larger market cap stock is kept with the objective to outperform the BSE 100 Index by constructing a stable portfolio with a lower impact cost and higher liquidity. The strategy comprising the top 100 stocks of large market cap on BSE. Generally, there are 10 to 20 companies are included in the portfolio. Liquidity is high. And the return will be calculated against BSE 100 as the benchmark. Comprises top 100 stocks by market capitalization on BSE. The portfolio includes 10-20 companies. The strategy triggers long term capital appreciation by investing in small cap stocks which have higher growth potential. The main objective of this strategy is to outperform the BSE small cap returns. The strategy comprises all stocks on BSE below the top 200 by market capitalization. Its portfolio contains approx. 25 to 30 stocks. And the return will be calculated against the BSE small cap Index as the benchmark. Comprises all BSE stocks below top 200 by market cap. Includes 25-30 stocks in the portfolio. Return against the benchmark BSE Small Cap Index. So, we have seen both strategies are made with a different objective for the different class of investors by Accuracap PMS. Both strategies have performed very well in the Indian market in their fields since it started. The performance of both strategies is outstanding in almost every single quarter. The company introduced the strategy with proprietary funds in the market since 2009 and with public funds in 2011. The basis of stock picking is also very strong. The stocks are picked on the basis of big data and analysis done by computer scientists and business executives with the help and support of fundamental research analysts. Here we will try to understand the performance of both the strategies on the yearly basis from their inception. From the above both tables, we can see that both strategies of Accuracap PMS are showing a rising trend. The table shows the return/performance of the last one year to last 11 years (Since starting) and every time we can observe an increase in the return of the portfolio in comparison of its benchmark. The company is reflecting an impressive performance of its portfolio in continuous years. So, on the basis of return, we can say that Accuracap is a strong PMS solution company. Accuracap PMS has four types of investment plans which are made to keep in mind the financial capacity of an investor. So, from the above four groups of investment plans by Accuracap, it is clear that one can invest in any plan according to their financial strength. One can invest as minimum as ₹25L and it can go more than ₹5 cr. An investor can choose any plan from Bronze, Silver, Gold and Platinum. Under prepaid commission model, Accuracap PMS charges its commission before starting of the investment phase. It is charged on the basis of the amount of investment. The investment amount and the percentage of the prepaid commission run in the opposite direction. Higher the investment fund, lower the percentage of prepaid commission and vice-versa. The volume-based commission is the second type of commission model through which an investor can pay the fee of the fund manager. Under this model, the commission is charged on the basis of transaction volume/ investment task completed by the fund manager during the portfolio handling. Through this model, investment/Asset inventing activity of the fund manager brings their commission. The percentage of commission is based on the market situation and the genuineness of the fund manager. ₹5Cr. & above – commission of 0.105%. Profit sharing based commission model is extremely suitable for both the parties. As this model allows the fund manager to charge his/her commission only after generating profit through the funds of the investor. So, the fund manager tries his best to generate more and more profit to get a good percentage of commission. above ₹50 Lakhs profit share will be 19% of the profit. Management fee – depends on the commission model type. Upfront fee – Charged as prepaid commission in the range of 1%-1.3% of the asset value. Brokerage fee – Charged as a brokerage fee in the range of 0.01%-0.02% depending on total transaction drawn. Custodian charge – A type of fee charged on the basis of the asset value of the investor. The range is 0.02%- 0.03%. Exit Loadcharge – This is a charge which is taken on the exit of the investor from their portfolio. Exit before 12-month is chargeable 1%-1.3% on the withdrawal amount and 0.25% or charge-free after 12-month withdrawal. Following are the key points which make Accuracap PMS different from other portfolio management firms or we can say these are the benefits of Accuracap PMS. The Company focuses entirely on the fundamental analysis technique to choose the most profitable and Good-performing stock. Has the ability to read the market psychology for buying high-quality stocks with reasonable valuation by using “pendulum hypothesis”. Uses a conservative and risk-averse approach. Always makes the right call on any sector or stock. The decision related to the buying of stocks is never taken on any emotionality or subjectivity. Decisions are always made independently and are strictly based on the rules and regulations made by the company for stock picking. Always takes long only strategy for the investment, never takes any call on the basis of market direction. The Fee structure is reasonable, no arbitrary fee rates. Performance of the portfolio is measured against the appropriate indices only. And the most important benefit is, both the funds of Accuracap has beaten the market and other equity funds consistently since its inception by a good margin. AccuraCap PMS provides good customer support to its clients. They provide various types of supports so that the clients can resolve their queries. Accuracap PMS will assign a relationship manager also who will help in solving your queries. The client can call the fund manager based on the value of the asset. The higher the amount of the investment, one can meet the fund manager approx. 5-8 times in a month. And the TAT (turnaround time) for issue resolving is maximum 15 working days. Accuracap PMS pick up the stocks which come after a deep fundamental analysis by the experts. The company works on Spatiotemporal analysis. The fee structure of Accuracap PMS is affordable. One can easily afford the charges taken by the company for the PMS Service provided by them. They create a ‘Pendulum Hypothesis’ to know about the movement of the stocks. The risk-averse approach and the conservative approach of the Accuracap PMS helps in taking the right decision for the stocks. The experience and the strategy used by the Accuracap helps the company to make it one of the leading PMS service providers of India. What is the minimum value of the funds below which a fund manager cannot accept the fund to render portfolio management service to the client? Ans: As per SEBI guidelines, a fund manager cannot accept the fund below Rs.25 lakhs for portfolio management service. In the case of Accuracap PMS, the minimum requirement for PMS is Rs.50 lakhs/each. What is the difference between PMS and a mutual fund? Minimum investment ₹5,000 in Mutual fund. Whereas the minimum investment is significantly higher in PMS, minimum investment should be ₹25,000. PMS can be customized according to the need of customers. On the other hand, no customization is possible in case of Mutual fund. In the case of the mutual fund, the trustee owns the shares of the fund and buy and sell decision cannot be taken. Whereas in the case of PMS, a customer can directly add particular securities in their fund. Non-resident Indian (Except residents of Canada and USA). What is the tax liability of PMS investor? Ans: Tax liability of PMS investor is the same as the tax liability of the investor who is accessing the capital market directly. Can an investor make the premature withdrawal of funds? Ans: Yes, an investor can withdraw his/her funds premature. However, the terms and conditions of premature fund withdrawal would be mentioned in the agreement between the fund manager and client.